The Chauvet B-250 Bubble Machine is a little dynamo of a bubble machine that really cranks 'em out. Plastic construction prevents rust. 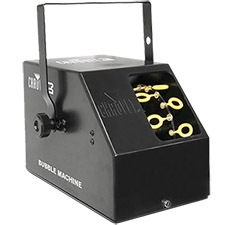 Manual bubble button triggers the action. The B-250 has an easily removable fluid tank. 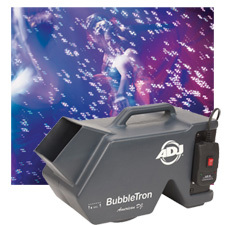 For best results use Chauvet Bubble Juice in your Chauvet Bubble Machine. 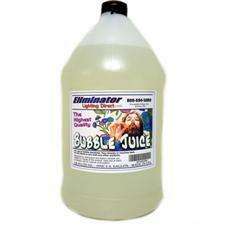 Size: 12-1/2" x 7" x 6-1/2"
These high-flying water-based bubbles are non-staining and nontoxic.